We’re excited that art-making has moved off our tables and walls and into the middle of the big studio. Work has begun on a large egg sculpture that will be installed in an outdoor nest later this year. 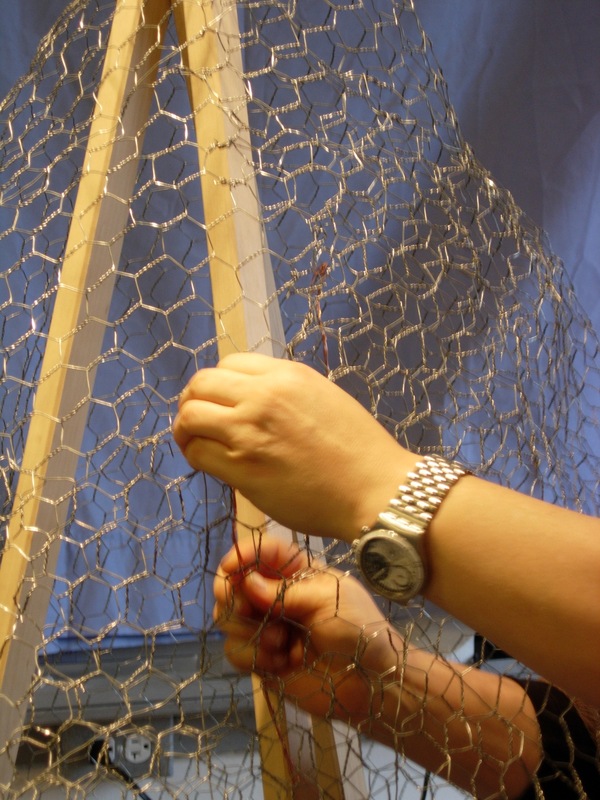 The wire armature is complete, and the artist has started to wrap the sculpture in preparation for plastering.